If you are interviewing somebody for a medical research, the purpose being medical or clinical studies, then you must make use of this format or template. This contains all important points which your participant should be aware of, and agree to. The party should read thoroughly and sign the consent form to be a part of your medical research. 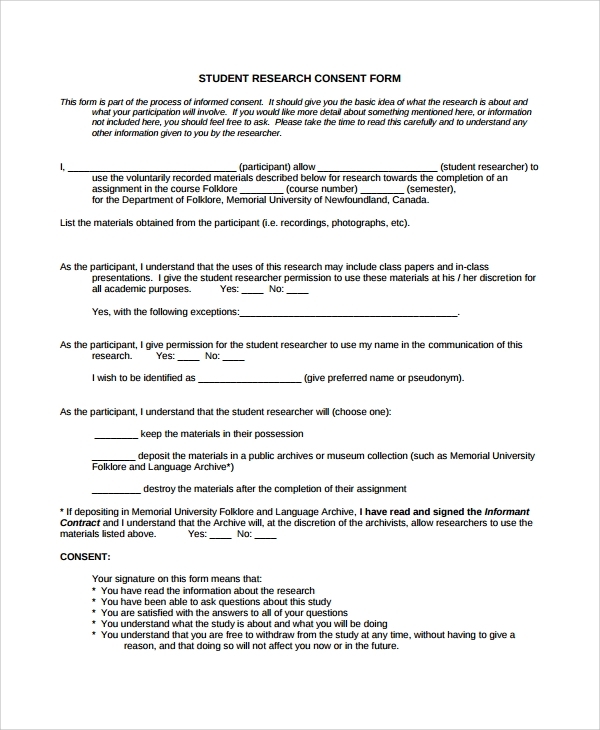 The consent form format is for qualitative research. 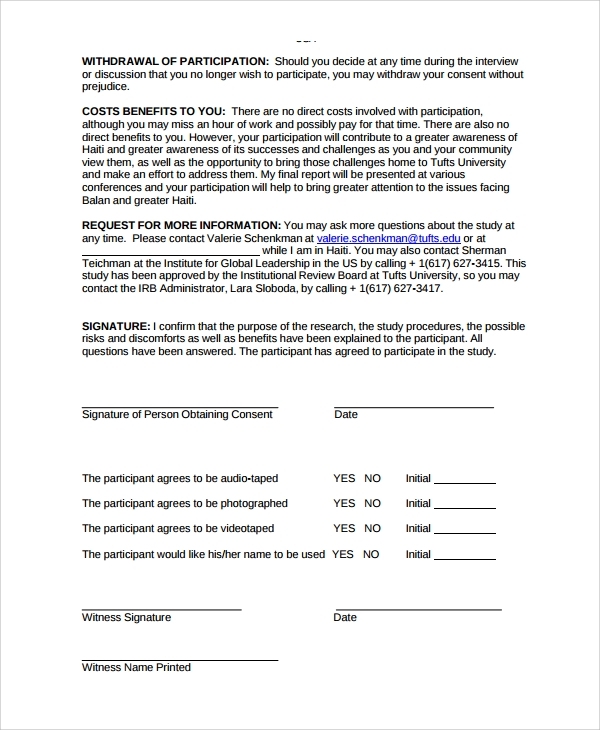 Any qualitative research campaign which involves interviewing parties, and nothing in their opinions or recording of their sounds or videos etc, should take consent of the parties through this form. This template contains a complete structured format. 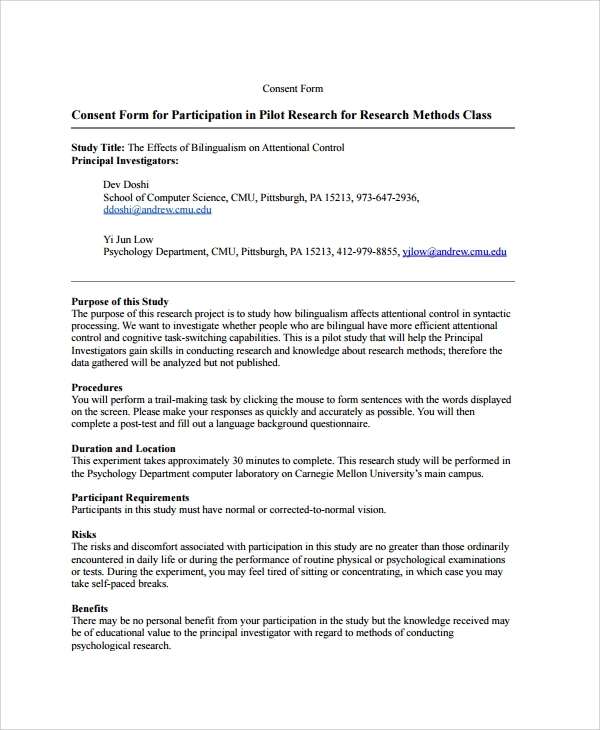 The psychology research consent has to be taken from them who would be participating in the research. 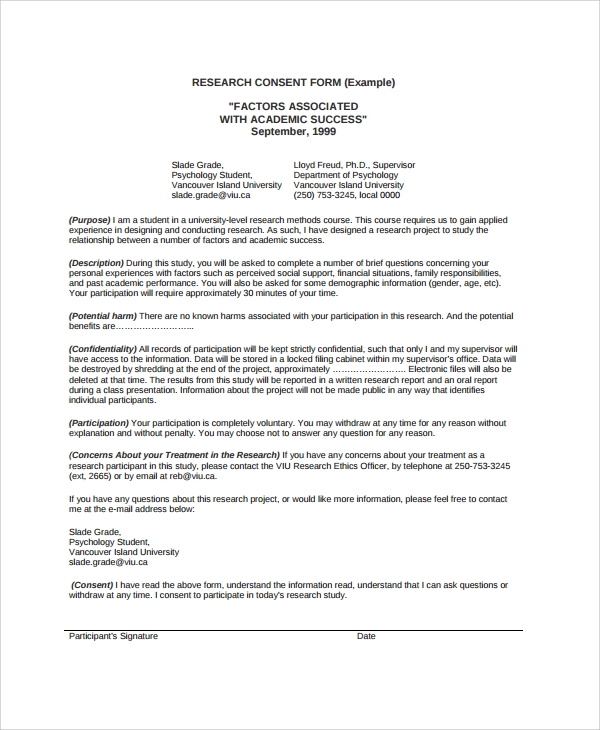 This consent form will tell the participants that their statements are recorded or videoed for research work and that these would be used for drawing conclusions about psychological studies. The consent of the participants is very important so that you do not face any legal issue later. The simple reason why you need the consent form to be signed by the parties duly before you start interviewing or experimenting is, to avoid legal conflicts with any participant in future. If your participant challenges you anytime in the future that you wrongfully took their interview and had no right to publish or use their statements in any work or public releases, then you would be in trouble. To make it safe and legal from the beginning, you must make them sign the consent form after thoroughly reading and agreeing to what they read. The simple use of the templates is by downloading them from an online template bank, and then customizing them as per the requirements of your research paper or topic. 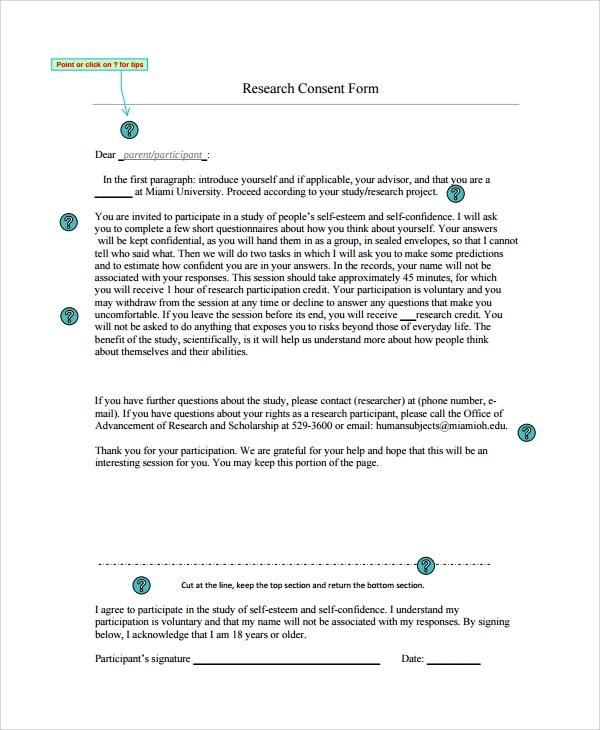 To do this you will have to surf through the various styles of research consent form templates. They are available in Word and PDF formats. It will take you a little time, and soon you will spot the one needed. Most downloads are free while some ask for a minimal charge. After you download, read thoroughly to keep on adding details of your paper wherever applicable. Finally, the form is personalized and ready for use. Get a print, and get going. 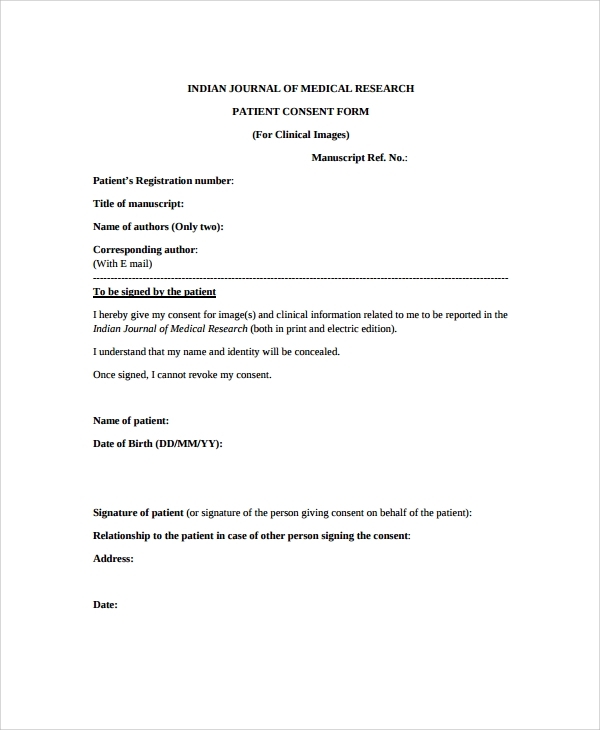 The use of research or informed consent form is mandatory in today’s research work and is smart and must use to avoid legal complication and challenges to your work. 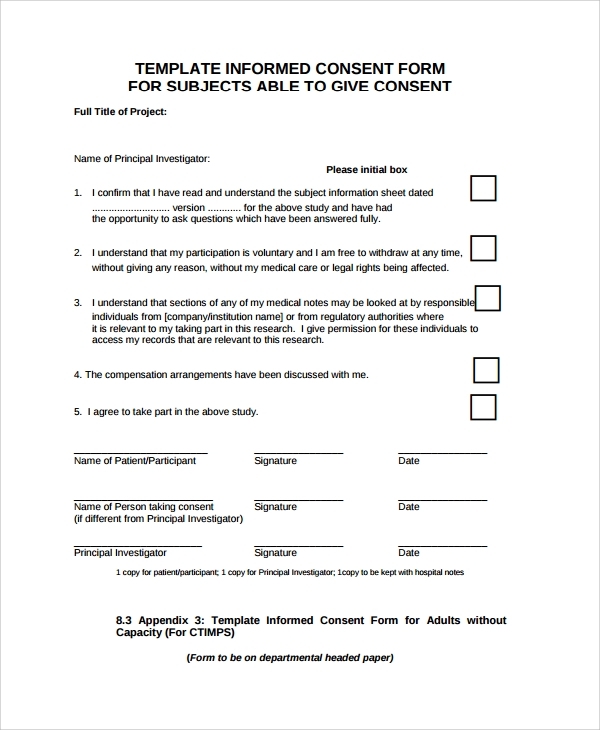 You can make it simple by downloading a template format online and use this to make a perfect consent form.